Touch Third or Throw Home? Situation: Bottom of second. Nick Markakis on first with two outs. Melvin Mora batting with 1-2 count. Mora strikes out on a pitch in the dirt with Markakis running on the pitch. C Ivan Rodriguez does not tag Mora, who heads to the dugout with his bat in hand. After reaching the grass beyond the dirt circle around home plate, Mora is alerted that Rodriguez did not catch the ball and runs to 1B. In the meantime, the Yankees leave the field thinking there are three outs. So Markakis and Mora advance to second and third respectively. Yankee manager Joe Girardi argues that Mora should be called out because he didn't immediately run to first after striking out. Bottom of first: Michael Bourn leads off for Houston and singles. However, the lineup card given to Milwaukee manager Ken Macha by Astros skipper Cecil Cooper before the game listed Kazuo Matsui hitting first and Bourn second. Macha protests to the umpires. c 1981: New Orleans high school game between Jesuit and Rummel, as described to me by an eye witness; future major-leaguer Will Clark played 1B for Jesuit. Bottom of seventh (and last) inning: Jesuit leads 1-0, but Rummel has the bases loaded with none out. The coach calls for a suicide squeeze with all three runners on the move. The batter pops the bunt toward the 1B line. The P dives and makes the catch, tumbling several times, kicking up a dust cloud that obscures the play. The home plate ump makes a quick out signal. Neither side realizes the P caught the ball. The runner on third slides home easily. Injuring himself on the play, the P is slow in gathering himself. So the 3B coach sends the man racing from second home with what Rummel thinks is the winning run, setting off a celebration. Clark throws down his glove in disgust. His teammates wander dejectedly. The P pulls himself together but cannot get the attention of his fielders to take a throw. So he hobbles to 2B and tags it, the base umpire signalling out. Still getting no response from Clark, the P lumbers to first and tags the bag. Third out. Unassisted triple play. Game over. Jesuit wins 1-0. The score stands after the predictable rhubarb with the Rummel coaches. Here is the wire service article about this game as printed in the New Orleans Times-Picayune. Manager Bert Niehoff of the Atlanta club announced last night before leaving for Atlanta that he would protest the action of Umpire Dan Pfenninger in forfeiting the game with Mobile here yesterday to the latter club. Niehoff contends that the umpire erred in calling out Krehmyer at third base for not replacing the bag after it had been moved from its original position. The Atlanta manager contends that it was the duty of the umpire to stop the game and have the bag replaced so that a runner could not be called out if he was holding the bag. Pfenninger contends that it was the duty of Krehmyer to stay on third base if the bag was kicked from its original place on the diamond. Krehmyer refused to replace the bag and sat on it while he was touched out by the opposing third baseman. The score of the game stood 7 to 4 in Mobile's favor with none out in the ninth inning when the play came up. Was Umpire Pfenninger correct in his ruling? Situation: Bottom of first; one out; Bip Roberts on third, Roberto Alomar, Jr. on second. Jack Clark hits a sacrifice fly scoring Roberts. 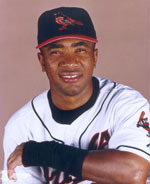 Alomar advances to third. Then the Expos prepare to appeal that Roberts left third too soon. Sandy Alomar, Sr., coaching at 3B, knowing that Roberts did leave prematurely, instructs his son to break for the plate as soon as the throw is made to 3B Tim Wallach. Wallach takes the throw and, rather than touch third to appeal Roberts leaving too soon, throws home where Alomar is retired. 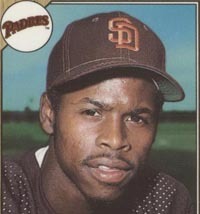 May the Expos now appeal Roberts leaving third too soon and negate his run? With the bases loaded and one out (or no outs), the batter pops up. The umpire calls infield fly. However, a gust of wind blows the ball into the outfield where it falls to the ground in fair territory. Is the batter out or does he get credit for a base hit? Situation: Bottom of the sixth. 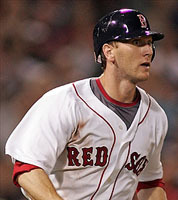 Red Sox have Jason Bay on second and Kevin Youkilis on first with two outs. Jeff Bailey at the plate. Bailey smacks a shot just inside the 3B line that hits umpire Gerry Davis in fair territory. The ball stops just beyond the IF dirt while the runners circle the bases. Indians 3B Jamey Carroll picks up the ball, and catches Bay in a rundown between third and home. Bay is tagged out while sliding back to 3B with Youkilis on the bag. Does anything that happened after the ball struck the umpire count? A switch-hitter begins his at-bat left-handed. After two strikes, he changes to the right-handed batter's box. Is this allowed? 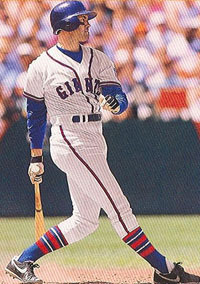 A pitched ball hits the batter's hand while he is holding the bat. Is this a hit batsman or a foul ball? A batter must break his wrist for a strike to be called on a missed pitch or checked swing.